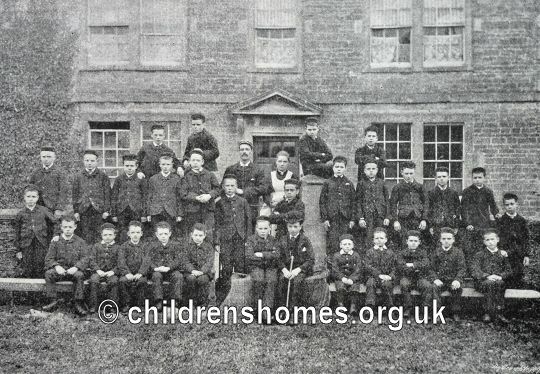 The Home for Boys, at Frome, was opened by the Waifs and Strays Society in 1887 as a replacement for the Clapton Home for Boys. It was located in a house at Sunny Side (or Sunnyside, as it was often written), Frome. The 1891 census records its address as 6 Sunny Side, with 37 boys in residence, under the charge of the master Allan Cunningham. Other sources give its address as 2 Sunny Side. The house needed some alterations for its new use, as described in a report presented at the end of its first year of operation. The Boy' Home, at Sunnyside, Frome, was taken by the Society, June 25th, 1887, exactly a year ago. By the courtesy. of the outgoing tenant, possession was taken a few days previously, and on 16th June, Mr. Roxby and Mr. Hussey brought 24 boys down from Clapton to the Home which had been, as far as possible, prepared for them by the master and matron. The reason for so much haste was that during the jubilee celebration in London, no one could be found to move the furniture from Clapton, and it was necessary to vacate the Home there before the 25th. There have been various improvements made in the Home, some of which are only just completed. A bath-room, with hot and cold water supply, was made directly after the boys came, and a long lavatory has now been added. An opening has been made from the dining-hall into the kitchen, and through this all the meals are sent in for the boys. A door has been opened between the committee-room and the boys' entrance, so that it is no longer necessary to go out of doors to get from one part of the Home to the other. Willesden paper has been laid on the stone floor of the master's sitting-room, which has effectually stopped the damp from rising and spoiling the carpet. We have to thank most gratefully an anonymous donor for enabling us to paint and paper three rooms in the Home, thereby adding both to its healthiness and appearance. A strong wood fence has been erected along one side of the playground. A good stove was put up in the dining-room (which is also used as a play-room in winter) as soon as the cold weather came on. The cost to the Society of these improvements has been considerable. 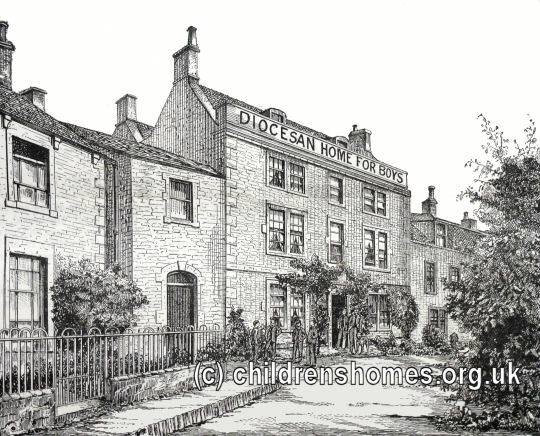 Since the Home has been established in Frome, 18 boys have been admitted; three boys, too young for the Home, have been boarded out with foster-parents; three boys, who are apprenticed, are lodged out under supervision of the Committee; six boys have been transferred to other Homes belonging to the Society; two boys have been sent back to their own homes, as they no longer needed the shelter of the Society. The health of the boys has been on the whole good. Many of them have much approved in appearance. There were several cases of measles in the winter, and our very best thanks are due to Dr. Parsons and his sons for their constant attendance, which is entirely gratuitous, and their great kindness to the boys in every case of illness, whether measles, sore throats, broken knees, broken chilblains, toothaches, or whatever it might be that was brought to their notice. Mrs. Parsons, too, has been most kind in sending good things for the invalids. Three boys have, through the kindness of Mr. Singer, Mr. Morgan, and Mr. Barnes, been apprenticed to trades, in which they will have every opportunity of earning an honest living. Six of the boys were baptised on October 14th, and there was no difficulty in finding God-parents who were willing to undertake this charitable work. The home was formally dedicated on June 26th, 1888, by the Bishop of Bath and Wells. On July 5th, 1889, three boys from the home drowned in a bathing accident. At around 7pm, the master of the home, Mr Cunningham, accompanied by twenty-six boys, set off for their usual bathing place in the river. A few of the boys hurried off before the others and, contrary to orders, entered the water before the arrival of Mr Cunningham and the older boys. The deceased, Joseph Churchfield (10), John Lowden (10), and Edward Paul (11), got into difficulties after entering a deep pool outside the appointed bounds. When the master and other boys arrived a few minutes later, the three had disappeared. One boy, Jesse Russell, made a brave effort to save his companions but with no success. An inquest returned a verdict of accidental death on the boys and exonerated Mr Cunningham from all blame. July 15th, 1890, Sunny Side became a Certified School, allowing it to receive children placed there by the Boards of Guardians that ran the poor relief and workhouse system. The boys at Sunnyside attended the local school and also received industrial training from instructors engaged for the purpose. A large carpenter's shed was erected by the boys themselves, with the help of the master. Its cost was met by money raised at entertainments given by the boys in Frome and the surrounding area. 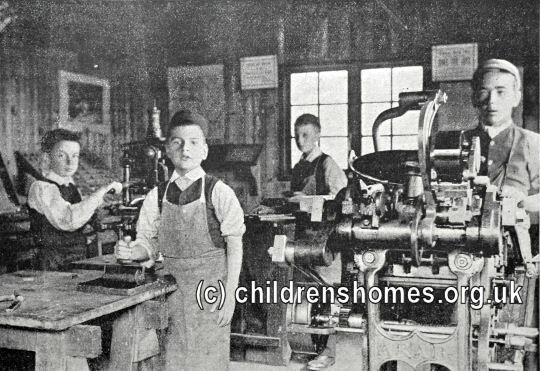 From 1893, the boys could learn the trade of printing in the home's own printing department set up in a separate iron building. Before long, the unit was printing most of the Society's reports and publications, together with posters, cards etc. Work was also undertaken for outside organisations and businesses. To cope with the growing work, an 'Arab' press costing £50 was purchased. Gardening was undertaken by the boys on a plot of ground taken for the purpose, with several of the boys winning prizes at local flower shows. Music was also enjoyed by many of the boys, some of whom belonged to a village choir a few miles away. 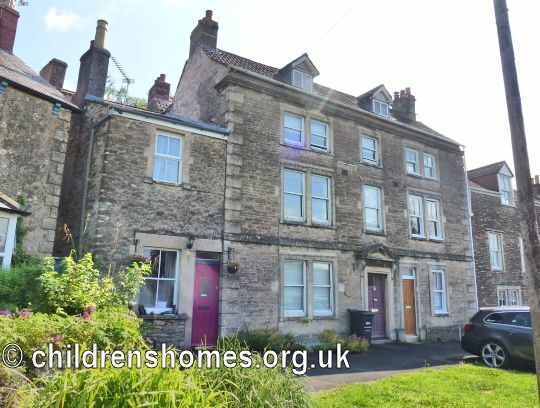 Following the expiry of the lease on the Sunny Side house in 1894, the home moved to new, purpose-built premises on Oakfield Road, Frome, which adopted the name St Aldhelm's Home for Boys. The Sunnyside premises are now in private residential use.